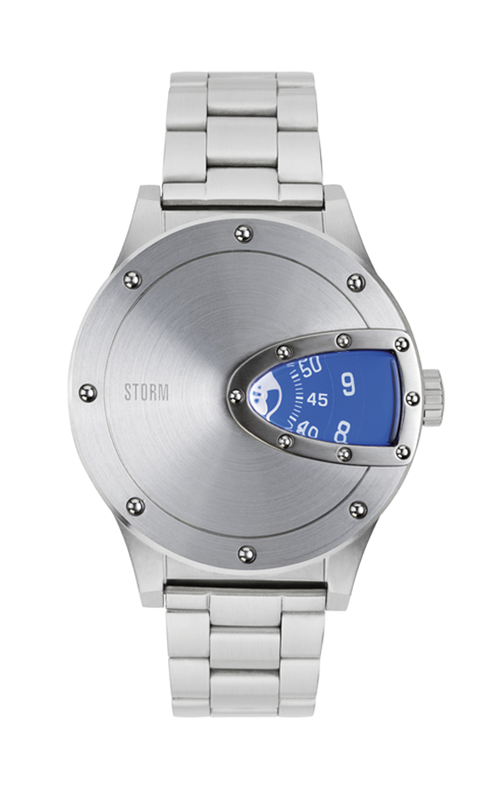 The Special Edition STORM Magnitor is a unique watch which uses a revolving disc movement to count the hours and minutes. The Magnitor features a semi visible disc designed in the shape of a bullet.Both the strap and case are made from brushed stainless steel and the watch is waterproof to 50m. This watch comes complete with a Special Edition presentation box and certificate.